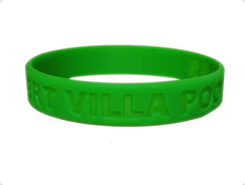 Debossed wristbands are made utilizing a mold that is expertly created with your customized message. 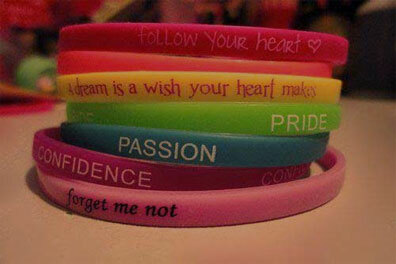 This famous silicone wristband style includes a recessed or indented in message style. Redo debossed wristbands will show your customized proclamation or occasion for all to see. The process of debossing includes removing the material using a laser. Mostly the bands have sunken text and graphics. Modern day factories use CO2 laser engravers for the ease and flexibility. There are a variety of fonts available for use in the process. These silicone wristbands are the toughest. Now this material can be added with silicone that gives it an awesome view. The two sections are for all time reinforced by a work escalated process, which builds their consequent expense, yet the way they look is contrasted with none. At WristbandBuddy, we provide bands with a waterproof and non-ignitable material. Without any limitation for message length, one can easily fulfil his desire for a complete message. Also, we offer personalized services to all and free shipping for these embossed or debossed bracelets to US customers.